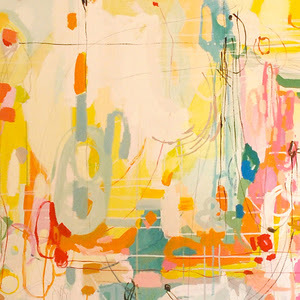 loving these colorful abstracts by Atlanta artist Michelle Armas. YES! Don't you love her art?! I love when art evokes a strong emotion..... number 2 makes my heart want to sing! I adore it!! They are gorgeous! We could use some of that color around here. I'm so with you.. I adore them! 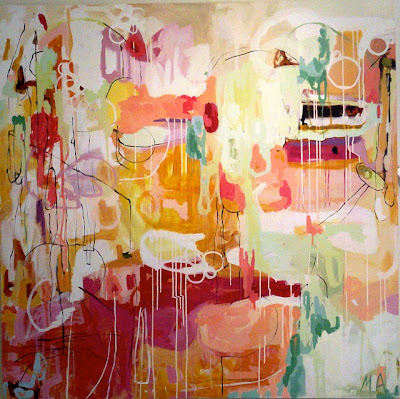 I have bookmarked her site and a few others of artists I'm loving right now. You might see me posting about her in the near future. Thanks for brightening my day! Oh, they are gorgeous! I especially love the first one!!! Donna, Michelle's art cheers you in an instant! 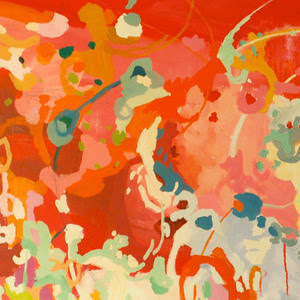 Love the abstracts I have been seeing. Wow those colors are so fun.Would love to design a room around them. Love those bright and happy colors. I could use of that lately! They are so fun. LOVE #2 ESPECIALLY. I am crazy about these. Thanks for posting them. I'm such a huge fan of her work! I hope to see it in person soon and I'm saving my pennies for one of my very own. Gorgeous! These are fantastic. Such a surge of energy. wow, these are amazing -- thanks for the intro! I forgot this is how we FIRST connected. We love art. Did you ever try to do that painting? I'm actually painting between projects again. I'll be sure to send you pics. I'm looking into having giclees made of past paintings that people have wanted. Who knows?